Patricia Marie Quick was born February 16, 1930, to Florence (Everitt) and Louis Ruggles. She left us on March 22, 2019. Patricia Ruggles was born in Denver and grew up on the Ruggles farm nine miles east of Parker, Colorado. She started school at Rattlesnake Hill School in 1936. Three years later Rattlesnake Hill School was consolidated with Parker Schools, and Pat graduated from Parker High School in 1948. She attended Colorado State University for a year. In 1949, she married Calvin J. Quick in Savanah, Georgia, where Cal, who was in the US Army, was stationed before his deployment to Korea. Pat stayed in Georgia until Cal was discharged in 1952. They returned to Colorado, and the young couple purchased land along Smoky Hill Road in Arapahoe County that was homesteaded by Cal’s maternal grandparents. There they made their home for the next 49 years. They operated a dairy for 19 years and then converted to a beef cattle operation. They raised alfalfa, wheat, and corn. Pat and Cal also raised three children on that farm, Amy Miller (Jim) of Akron, CO, Craig Quick (Sharon) of Woodrow, CO and Audrey Maydew (Jim) of Aurora, CO. The Quick family was involved in 4-H, the West Arapahoe Soil Conservation District, school activities, and the Catholic Church in both Castle Rock and Aurora. The family was also involved in Grange activities, attending Cherry Creek Grange and state Grange. Pat served as the Colorado State Grange Women’s Activities Chairman for several years. While her children were active in 4-H, Pat worked at the Arapahoe County Junior Fair doing a variety of chores from washing cattle to arranging the apron display. Pat was an accomplished seamstress and did outstanding needlework. She won many awards for her embroidery, crochet and knitting at State Grange. She served as a needlework judge at several county fairs along the Front Range. She served ten years as a Trustee on the Arapahoe County Library District Board. She was proud to have been instrumental in securing an Arapahoe County Library branch on Smoky Hill Road. Pat also served on the J.S. Parker Cemetery Board (30 years) and for many years as Secretary to the Colorado State Grange Leadership and Scholarship Foundation. When the E-470 Toll Road was built, Pat and Cal were forced to sell the farm, and they then moved two miles west to the Saddle Rock community. In February of 2008, she lost Cal. In 2015, Pat moved to Windcrest, a retirement community near Chatfield Reservoir. There, she made many friends and lived the remainder of her life fully. Pat was preceded in death by her parents, her husband, and brothers Roy, Phillip, and Glen. 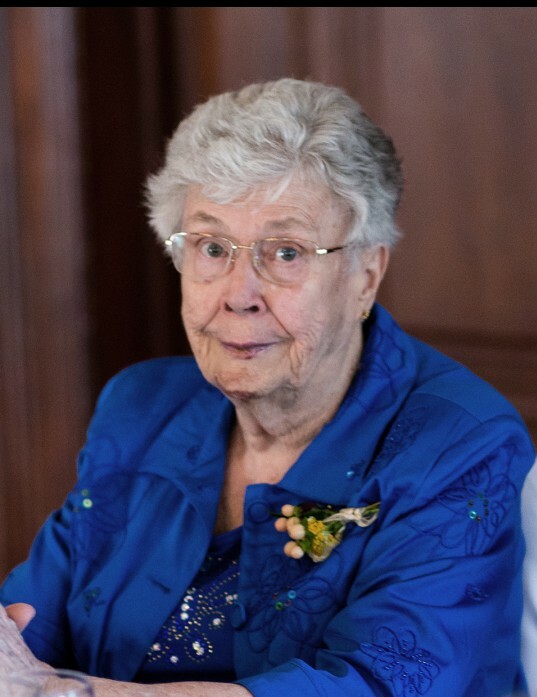 She is survived by her sister Margaret, sister-in-law Mima Britton, sister-in-law Georgina Skipper (Hollis), her children, seven grandchildren, and eleven great grandchildren. The public service will be 2:00 pm on Saturday April 6, 2019 at Castlewood Grange, 7275 South Lima Street, Englewood, CO 80112. Memorial contributions can be made to the Colorado State Grange Leadership and Scholarship Foundation, care of Jim Miller, Treasurer, PO Box 521, Akron, CO, 80720, or a charity of your choice.